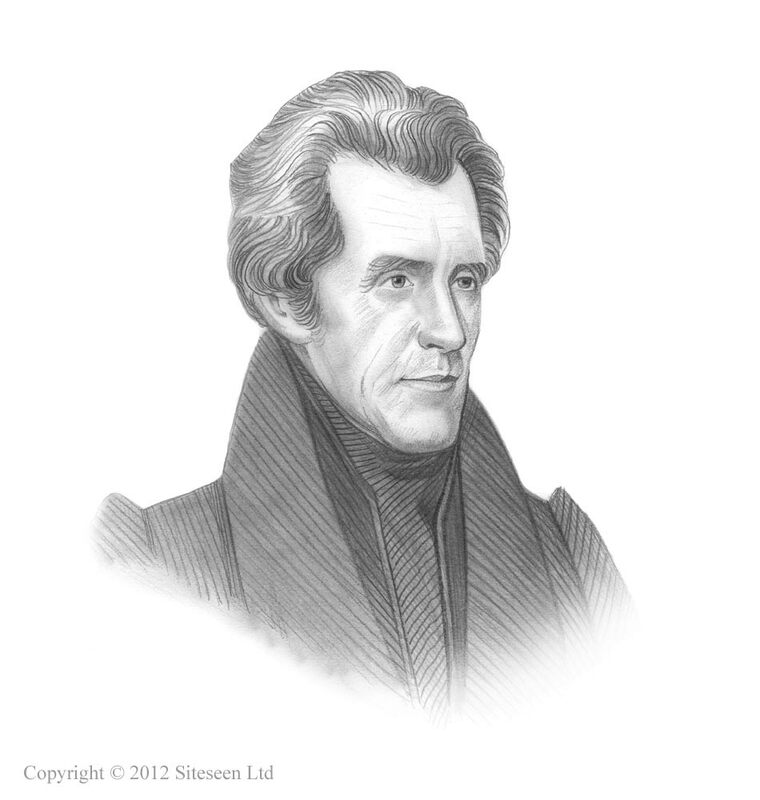 Specie Circular: Andrew Jackson was the 7th American President who served in office from March 4, 1829 to March 4, 1837. One of the important events during his presidency was the issue of the Specie Circular of 1836. Summary and definition: What was the Specie Circular of 1836? The Specie Circular was the name given to an Executive Order issued by President Jackson on July 11, 1836. The Specie Circular stipulated that all government owned lands must be paid for exclusively in gold or silver (specie) in order to restrain excessive land speculation in the west and to curtail the enormous growth of paper money in circulation. The Specie Circular is also referred to as the Coinage Act. One of the Important reasons for the 1836 Specie Circular was the uncontrolled land speculation in the West. Real estate speculation was funded by increased availability of credit from the Second Bank of the United States and new, reckless frontier banks. State banks were chartered for the express purpose of extending credit to speculators. The number of banks more than doubled between 1812 and 1819. The Banks were unregulated and began to issue massive amounts of bank notes. The bank notes were not backed by gold and silver. This led to the Panic of 1819. The Land Act of 1820 had reduced the minimum price for land to $1.25 per acre with a minimum purchase of 80 acres and a down-payment of $100 in cash - nearly 3.5 million acres of land were purchased in 1820 alone. Millions more acres of lands were opened to settlers moving to the west in the 1830 Indian Removal Act. The Land Act of 1832 reduced the reduced minimum purchasable unit to 40 acres to encourage people to move westwards. Land sales increased but not all of these land sales reflected actual settlement. Wealthy land speculators purchased massive areas of lands for resale to farmers and settlers. The excessive land speculation resulted in the enormous growth of paper money in circulation. Paper money lost its value, each bank had different currency. Specie Circular for kids: Andrew Jackson, the Bank War and the "Pet Banks"
When Andrew Jackson was elected President he swore to destroy the Second Bank of the United States. Andrew Jackson's Bank War began. This led to the establishment of the Pet Banks and also the emergence of Wildcat Banks. What was the Reason for the Specie Circular? Why was the Specie Circular enacted? With the closure of the Second Bank of the United States large deposits of government money were deposited in the 'Pet Banks'. But there were problems. Some of the managers of the "Pet Banks", tempted by the large deposits of government money, began to lend money more freely. "Wildcat Banks" sprang up in the West where there was extensive land speculation. Loans were made in the form of paper money, without gold and silver to back them. President Jackson knew this situation lead to yet another financial disaster unless he took decisive action. Senator Thomas Hart Benton was a supporter of Andrew Jackson who had played a Important role during the Bank War. He had a firm belief in 'Hard Money' (gold and silver) and was against the unregulated availability of credit. Senator Benton had initiated the ratio of silver to gold from 15:1 to 16:1 which had brought more gold into circulation. He then submitted a resolution to Congress requiring that the payment for public lands should be paid for in hard money only. Congress defeated his resolution but Andrew Jackson loved the idea as a firm believer in a specie (gold and silver) basis for currency. Andrew Jackson decided to issue an Executive Order requiring that payment for the purchase of public lands be made exclusively in gold or silver - the Specie Circular. Senator Thomas Hart Benton was the author of the Specie Circular and Jackson legalized the idea in an executive order. The Specie Circular executive order was issued in the form of a circular to the United States land officers. The Specie Circular issued the instruction by President Jackson forbidding the land officers to receive anything except gold and silver and certain certificates in payment for the public lands. The Specie Circular is therefore also referred to as the Coinage Act. What was the Significance of the Specie Circular?